This strap is not made by Minolta. It is a 3rd party product. 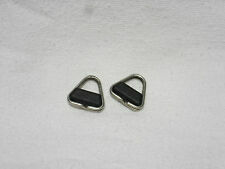 This strap is supplied with three mounting options, simply remove the ones you dont need and fit the strap. D:L-120 0 x W-10 mm. NEW CONDITION. A web-like design to evenly distribute weight. Strap length - 150cm reducing to a minimum strap length of 88cm. 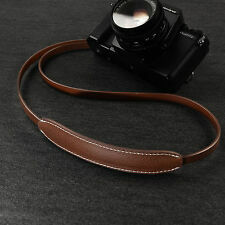 This versatile strap is Strap length (Shortest): 88 x 1cm. Strap length (Fully Extended): 150 x 1cm. VTG Minolta Camera Strap w/ Blue Logo for SLR DSLR - New in Sealed Package NOS. Condition is New. Shipped with USPS Priority Mail. 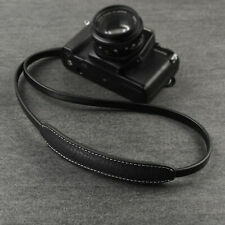 1 x Single Shoulder Sling Belt Strap for SLR DSLR. Length of strap: 145cm. The length of this strap is adjustable. This strap is light weighted designed. You will feel comfortable even after hours continuous shooting. The quick release plate is Arca-Swiss compatible so you can quickly and easily go between the holster and your tripod. [ Exc ]. From Japan. All you can see in the photos are included. MINOLTA original. Color: Strap Part > Black and Grey. Strap Width > about min 1cm - max 2.5cm. Condition: MINT (Used). This strap is a NEW released model from CANPIS, it made batter durable, comfortable, adjustable and universal(with connecting accessories). You can wear it as a sling, neck or shoulder strap. Wider & Thicker for Better Decompressing. ◈ Hair Care & Styling. ◈ Shaving & Hair Removal. Nikon AN-6W Nylon Neck Strap. ♢ RG316 Coaxial Cable. Type : Neck Strap. Feature 1 of 2 : The strap is adjustable and in wine colour. ♢ Flash Adapter. 1x Neck Strap Only. Strap length: 68cm. Strap width: 3.8cm. We really appreciate that. 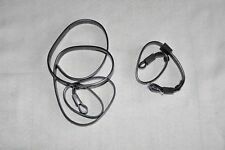 One (1) Genuine OEM MINOLTA Black Shoulder Neck STRAP. Actual Photos. One Per Each Order. We do not cover this expense. We will cover the difference! 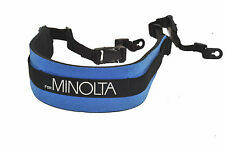 One (1) Genuine OEM MINOLTA Blue/BLK Shoulder Neck STRAP. Actual Photos. Total 12 Available (Random Selection). Original 1990s Dynax wide strap, in full working order with all fittings. Small normal signs of use, perfectly usable, nice and clean . 1 x Single Shoulder Sling Belt Strap. Length of strap: 145cm. The length of this strap is adjustable. This strap is light weighted designed. You will feel comfortable even after hours continuous shooting. This strap is in nice condition like new and Still looks good! Adjustable,Depending on your needs, you can adjust the length. Otherwise specified, battery is not included for the safely reason on the plane. from JAPAN. I participate from Japan. So I can provide you the best service. [ Rare Top Mint ]. Top Mint Pre-owned, Like new. Fully working. I always take a lot of pictures. ✧ ✧ - Usable. ✧ ✧ ✧ ✧ - Very good. ✧ ✧ ✧ ✧ ✧ - Excellent.